Guthrie kept moving throughout his life, making friends, soaking up influences, and writing about his experiences. Along the way, he produced more than 3,000 songs, as well as fiction, journalism, poetry, and visual art, that gave voice to the distressed and dispossessed. In this insightful audiobook, Will Kaufman examines the artist’s career through a unique perspective: the role of time and place in Guthrie’s artistic evolution. Guthrie disdained boundaries - whether of geography, class, race, or religion. Nevertheless, places were critical to Guthrie’s life, thought, and creativity. He referred to himself as a “compass-pointer man”, and after his sojourn in California, he headed up to the Pacific Northwest, on to New York, and crossed the Atlantic as a merchant marine. 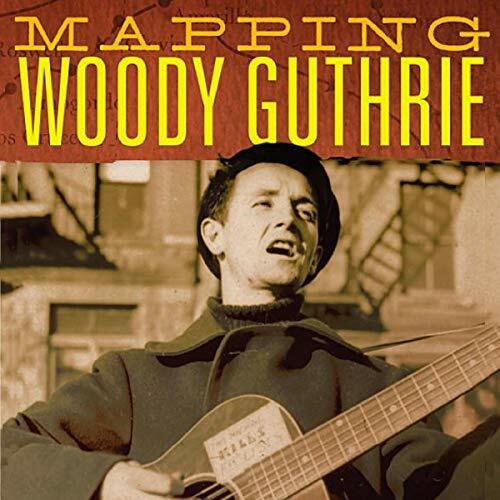 To map Guthrie’s movements across space and time, the author draws not only on the artist’s considerable recorded and published output but on a wealth of unpublished sources - including letters, essays, song lyrics, and notebooks. This trove of primary documents deepens Kaufman’s intriguing portrait of a unique American artist. This book is published by University of Oklahoma Press and University Press Audiobooks.